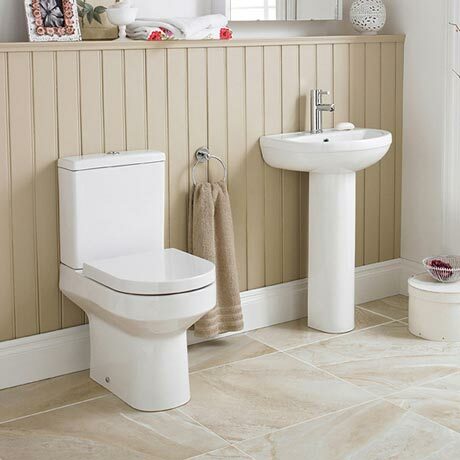 The contemporary Harmony range from Premier, a stylish modern themed bathroom suite. This 4 piece set features a close coupled toilet complete with a dual flush cistern and a soft-close toilet seat. The suite also includes a 1 tap hole basin in a choice of two sizes - 500 & 550mm. The basin in both sizes is designed to be used with a mono basin mixer (sold separately).